CNMI Marriage Encounter: Happy Anniversary, Propst's & Mariano/Lee's! On Saturday, our Steps group met to enjoy dinner, discuss Step 5 and celebrate the wedding anniversaries of Justin & Hee Jae as well as Ed & Daisy. Their joint anniversaries were yesterday on July 27th! 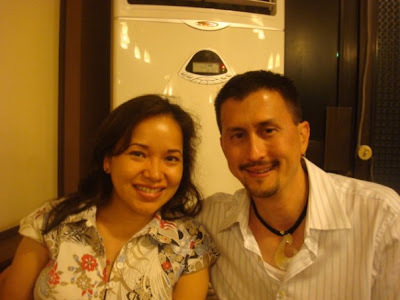 Ed & Daisy, Justin & Hee Jae were encountered in March and enrolled in Steps as a way to continue the Marriage Encounter program and allow the concepts introduced in their Weekend to grow. Congratulations to all of you on making your marriage a priority!